It’s Pride Month Illini! The month of June is host to events celebrating LGBTQ people and the Stonewall Riots that occurred in 1969 and served as the tipping point for LGBTQ civil rights. While you can look forward to the Champaign-Urbana area celebrating Pride in September, the festivities are turning up this weekend in Chicago. Below, you’ll find brief facts about the Chicago Pride Parade and learn more about what’s coming this weekend! This year marks the 49th year of the annual Chicago Pride Parade. The first Chicago Pride Parade took place in 1970, commemorating the 1969 Stonewall Riots. In Chicago, there used to be only a Pride Week. 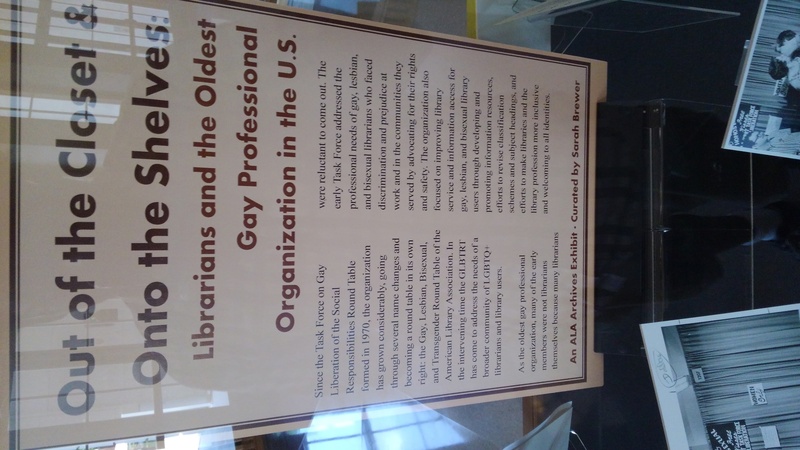 It was later expanded from Pride Week to Pride Month. The Chicago Pride Parade historically occurs on the last Sunday of June. Last year, around one million people attended the Chicago Pride Parade. The first Chicago Pride Parades had less than three hundred people in attendance. The Chicago Pride Parade takes place on June 24th starting at 12 p.m. at the corner of Broadway and Montrose in Chicago. If you are able to go, remember to stay hydrated and use sunscreen! To learn more about the Chicago Pride Parade and Pride Month visit the Chicago Pride webpage. 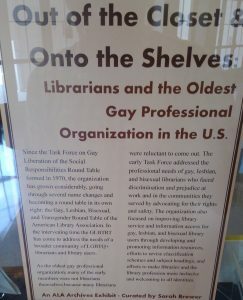 If you’re in the Champaign area and still want to know how libraries were involved in the Gay liberation movement, visit the Marshall Gallery in the Main Library building to see the exhibit, Out of the Closet & Onto the Shelves: Librarians and the Oldest Gay Professional Organization in the U.S. This display will be up until June 30th!